is to elevate the standard of living of the Egyptian citizen. Our primary objective at Al Waly Group has always been to elevate the standards of quality in our fields of operation as well as ensure consistent progress and development in the economies we support. Contractor Arch. Eng. 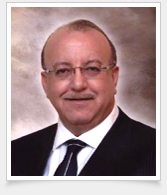 Mohamed A. Waly founded Al Waly Group in 1958 with the principle of believing in human development. We take our success and the expertise it stems from as a responsibility to do great things and form respectable bonds of fellowship and business with all our stakeholders. Since our conception we have been at the development forefront by undertaking some of the largest projects nationwide, all the while maintaining a diverse project base across all sectors of the construction industry. We have led our group through a constant state of growth and development and naturally allowing us to take our principles further by expanding into other industries. Having worked with The Armed Forces, various governmental bodies and private sector across the board in all a wide range of construction segments, we have achieved a comprehensive history that spans a wide spectrum of specialties, delivering projects of the highest caliber that is not limited to general contracting works. 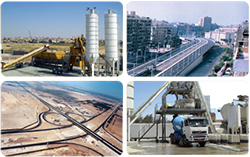 As well as our asserted presence as a prime real estate developer, our specialized works include the production ready mixed concrete in addition to being expert deep foundation contractors. Al Waly Group's vast construction enterprise has held its own for over 60 years while maintaining an outstanding quality record and taking initiative to constantly providing the market with new solutions that add to the value and success of our projects. Al Waly Group now relies on a workforce standing over 5’000 strong. Our teams collectively perform admirably in 7 different fields of operation locally and internationally. We are proud of what we do and more importantly, how we do it. When the first seeds were planted, over 50 years ago, for the organization that now stands, all that was available was the will to achieve and the drive to keep going. Starting off in the construction industry we are among the first privately owned firms to emerge, working with almost all sectors of the market in near every known form of construction, the dream and realization and success have been imminent. Never being satisfied with the status quo we are constantly fighting to seize opportunity to grow and expand beyond what, not only is expected of us, but what we expect of ourselves. For it is by exceeding our own expectations that we realize our true potential and find the drive and motivation to achieve and grow in times of hardship and flourish in times of prosperity. Today, we stand an integrated industrial entity with the goal of development and all that is encompassed in its definition. We are determined to achieve our ambition and to assert our place in history among those who pushed forward the growth of man. Through the works and efforts of a workforce that stands ten thousand strong and continues to thrive and swell we aspire to find our place among the driving forces of the global economy. Adopting ambition as our path and persistence our vehicle, we are paving the roads to our own success acknowledging no boundaries or limitations to our potential. © AL WALY GROUP, All rights reserved.